Whether you’re a die-hard vegan or a carnivorous meat-eater, we can pretty much all agree that Claire’s cakes are delicious. The most frustrating part (besides “Corner Copia” being a misnomer, since it’s not on the corner!) is deciding which cake you want for your next event. With all of the options Claire’s offers, there are literally thousands of cake combinations to be made. It would be insane if I had tried them all out. But thanks to generous friends, and Free Food at Yale, I’ve had at least a bite of quite a few combinations, so I’m here to tell you which are the best and which are so-so (because, let’s be honest, no cake at Claire’s is actually bad). The cake is just as beautiful as this painting of its ingredients. If you love tropical flavors, this cake is for you. Each bite tastes like summer and brings some sunshine to gloomy New Haven winter days. These three flavors combined feels like your slice of cake has transported you to a tropical island. 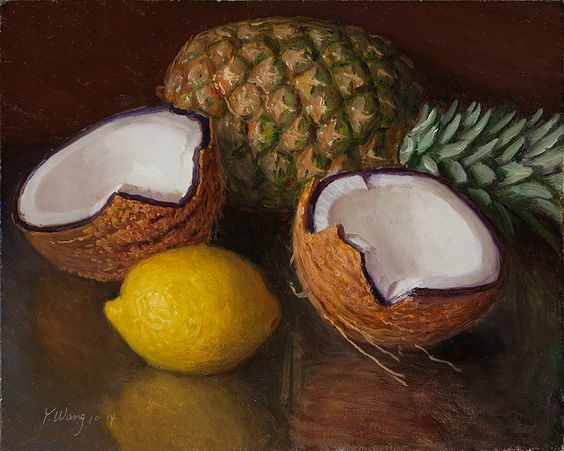 The only downside is that the lemon-coconut cake paired with the lemon frosting can overpower some of the other flavors, but maybe just ask for extra pineapple and coconut on top, if that’s your thing! Don’t let the healthy bananas fool you! This cake is decadent af. And it’ll definitely remind you of walking down a boardwalk and buying the quintessential summer treat, a frozen banana, from the nerdy kid behind the stand. And, if you’re into it, you could totally add some almonds and chill it in the fridge to it to give it that “frozen banana” flair. My one disappointment with this one is that the chocolate cake at Claire’s always ends up being just a tad dry. Maybe they’ve just coincidentally had off baking days when I’ve gotten the chocolate cake, but just keep that in mind if you order! 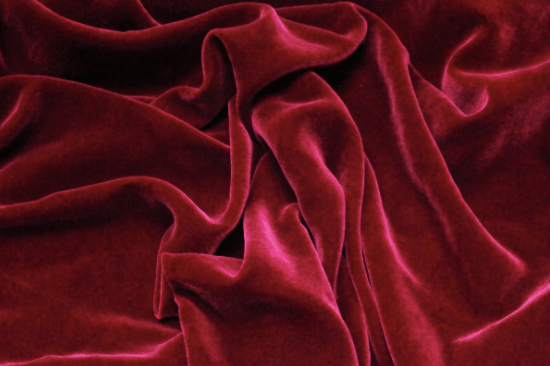 Never has a fabric tasted soooo good. I’m gonna let you in on a little secret here: I’m not a big fan of cake. At my parties there was always a birthday pie. However, despite all of that, I’ve always had a great love of red velvet cake. It’s simple and tasty, period. I’ve gotten a little more into different cakes with the introduction of Claire’s into my life, but I still like to sometimes go back to my first cake love. It’s honestly pretty hard to mess up red velvet with cream cheese frosting and Claire’s does a good job of executing it. Is it the best red velvet cake I’ve ever had? No. But is it a solid cake which never disappoints? Yes! Everyone knows lemonade tastes better when it’s got raspberry. Okay, okay, I know I said back in #8 that maybe it had too much lemon. This is definitely a lotta lemon… but it works in this case! Because there’s a lotta raspberry too! 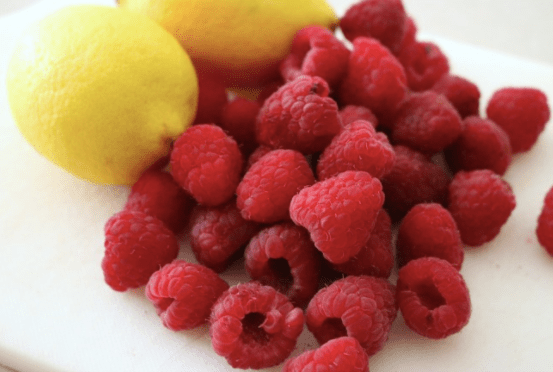 The tartness and sweetness of both the raspberry and lemon taste great together. It’s almost as if these two magnificent fruits are having a flavor duel in your mouth. But it ends in a draw. Because they both taste so damn good. Always good, even when it’s not fall. 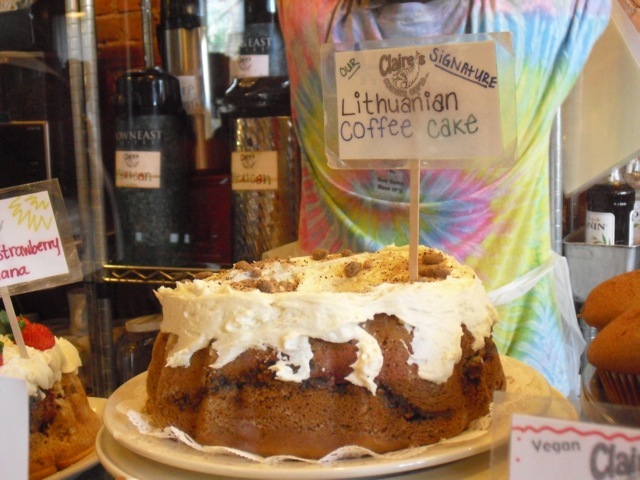 Unfortunately, the pumpkin spice cake at claire’s is seasonal, just like Ugg boots or the fall leaves. But, lemme tell ya, if you like the pumpkin spice chai tea latte at Starbucks, whoo boy, you’re in for a treat. This cake is exactly that. But in cake form and (in my opinion) tastier! And the calorie count is almost exactly the same. So maybe next fall, when you’re getting that ~pumpkin spicey~ craving, skip the multibillion dollar coffee chain conglomerate and go support a local business and staple of New Haven cuisine. Nothing beats Mexican chocolate, which I realize is a contradiction since this is #3 on the list. But regardless, Mexican chocolate is one of the best flavors around. 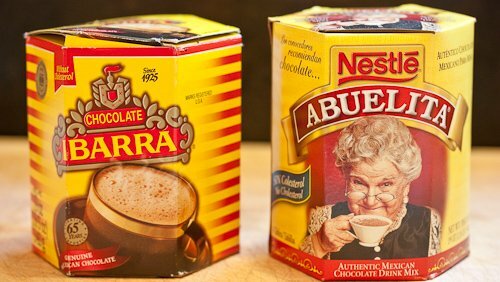 For those of you fortunate enough to have grown up in or around the Mexican culture, you’ve probably sipped on a cup of Abuelita or Ibarra chocolate on a cold day (or, if you’re twelve-year-old me, you’d eat the rock-hard chocolate bars solid). This cake captures those flavors pretty well, and doesn’t have the same dryness problem as it’s non-Mexican counterpart in #7. Without the mango, it’s pretty amazing. But the mango gives it a little extra punch so you’re not bogged down in one flavor. Tastes just like dessert at my grandma’s house! Huffington Post wrote a piece about this cake, you guys. It’s that good. Actual footage of me when I devour this cake. If you’ve never had this cake, I feel sad for you. How can you go on living knowing that this cake is out there and it hasn’t crossed your tastebuds. Literally a gift sent from the angels, this cake is the best cake to come out of Claire’s hands down. The cake itself is not too sweet, the chocolate chips don’t add very much sweetness either. But paired with the cream cheese frosting, it’s like a deliciousness explosion in your mouth. And the ricotta makes the cake perfectly moist and beautiful and amazing and gorgeous and spectacular and fantastic and… well, I could go on forever.